There are some basic rules that apply whenever carcinogenic substances are used in the workplace. Rules everyone should take into account, regardless of the job position one find themselves in. Is the right personal protection equipment provided to the employees? Note: Personal Protective Equipment is the last resort in the occupational hygiene strategy and should not function as the first measure, as it is the most failproof. Is information about the carcinogenic substances and prevention measures available to your employees? Which measures to take? STOP! It’s easy to remember: STOP keeps you safe! S … Substitution – replace dangerous substances with less dangerous ones. Substitution is always the first measure to consider. O … Organisational measures – did you close that door and keep that lid shut? Is your workplace tidy and cleaned on a regular basis? Does everyone wash their hands and face before eating, drinking and smoking? These are organisational measures which help a lot to reduce the exposure towards carcinogenic substances. P … Personal Protection – sometimes substitution is not possible and technical and organisational measures are not enough. Then you need to use personal protection. 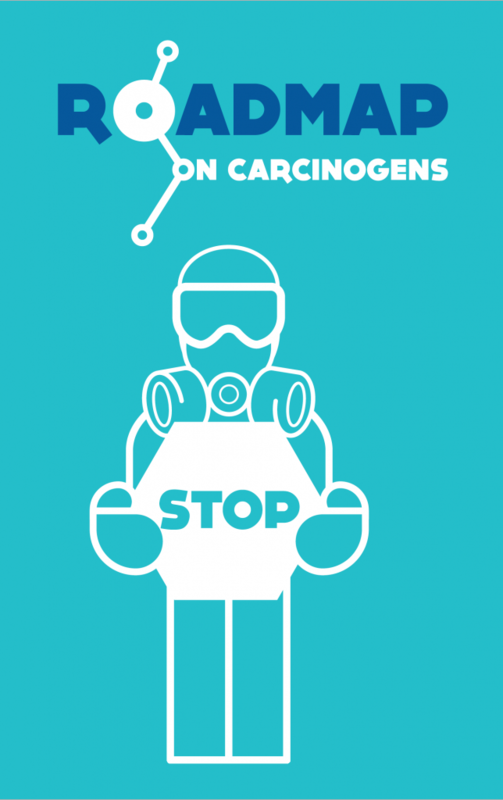 Personal protection helps to keeps carcinogens away from lungs and skin.